CuteFTP Pro transfers files between your PC and remote computers. 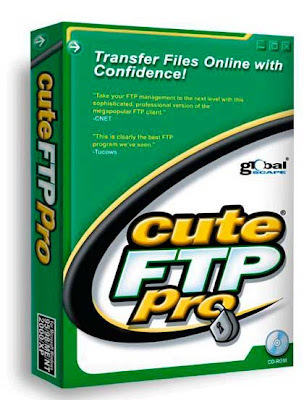 Whether you’re publishing a Web page; downloading the latest digital images, music, and software; or transferring large files between your home and office, CuteFTP Pro will get the job done quickly and easily, even if you’re a beginner. Features include an easy-to-use interface, a connection wizard, automatic-transfer-resume functionality, a built-in HTML editor, a transfer queue, directory comparison, custom commands, firewall and proxy options, path bookmarks, and filtered listings.